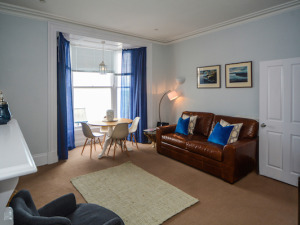 Awel Môr01970 867829work Self-cateringAwel Môr luxury apartments are stylish holiday homes on Aberystwyth Sea front. They combine the comfort of a hotel with the convenience of a private residence. The apartments can be booked for short or long stays. The three bedroom apartment is ideal for a family, a group of friends, wedding party or corporate use. The one bedroom is ideal for an individual, couple or small family. The holiday apartments are spacious, comfortable and fully equipped. The views of the sea and promenade are amongst the best in Aberystwyth. We are located near the town centre and excellent local shops and restaurants. 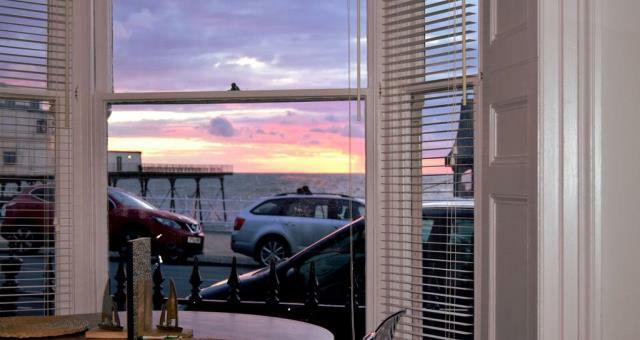 By car: The apartments can be easily reached by car and are situated on Marine Terrace on the seafront of Aberystwyth. On street parking is available outside the apartment. There is nearby unrestricted parking - instructions are included in the welcome packs. By public transport: Guests arriving by bus or train to the Aberystwyth Station can easily walk to the apartments. It is a 5 minute walk. Or a short journey by taxi can be taken from the station.